This service will allow you to launch an action when you enter a geolocated area with the GPS of your phone. For example to open the gate when approaching your home. Be careful, however, if you are passing your home without intending to enter because the gate will open anyway! 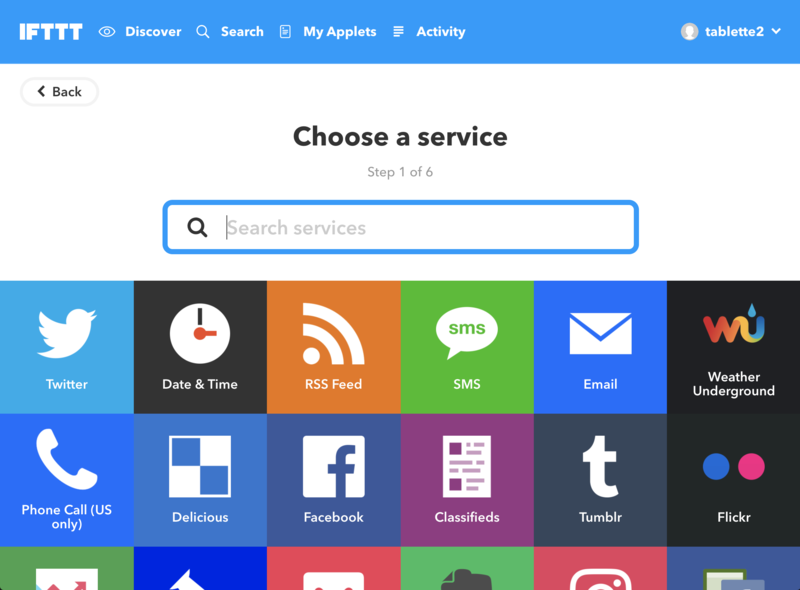 … You will need to install the IFTTT application on your phone in order to use this feature. This module is quite interesting because it allows you to create directly on the home page of your phone or your smartwatch call buttons to MyOmBox actions! As a result a quick access to the launches of your daily scenarios … For example for departure and return to your home. You will need to install the IFTTT application on your phone in order to use this feature. These are http requests which, depending on whether you call them in IFTTT’s “+this” or “+that”, either launch an action from MyOmBox to IFTTT, or that IFTTT initiates an action to MyOmBox. If you create a webhook from IFTTT’s “+this”, you will need to use the URL created in MyOmBox’s “Create Mode” and “HTTP Trigger“. You will be able to control all the connected objects present on IFTTT from the interface of MyOmBox via buttons of scenarios. 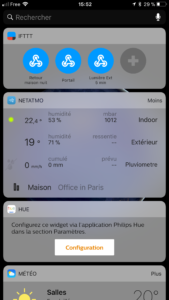 This service provides, depending on the location of your city, several weather data such as the temperature announced, the time of sunrise and sunset … So you will for example be able to launch a scenario that will close your shutters at sunset if you select “Sunset” (or “Sunrise” for the sunrise). As seen in the previous post it is possible to use your voice assistants present on IFTTT to control your smarthome with MyOmBox. The Siri system from Apple is currently not compatible with this system but should be in 2018 on our system. For example, you can launch a specific scenario on your MyOmBox if your Somfy Protect alarm is triggered. Or, launch an action if the temperature exceeds a certain threshold. 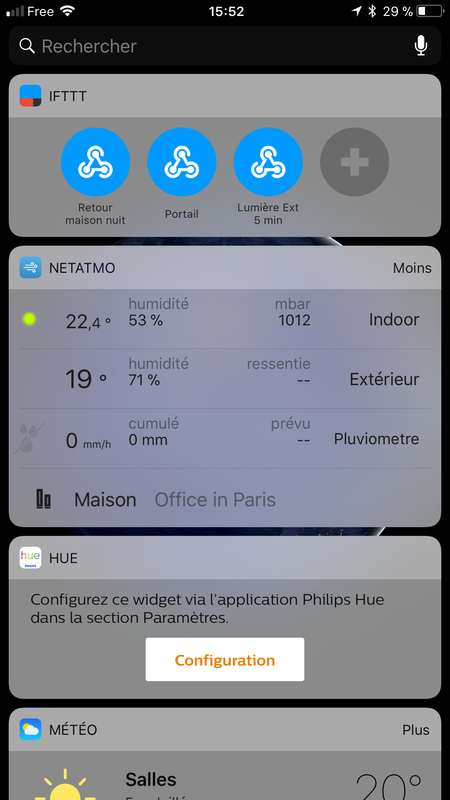 You will be able to launch actions on MyOmBox according to events on your Netatmo products: weather station, rain gauge, anemometer, thermostat, security … For example it will be possible to close your blind if the wind is too brutal or to close your roof window if rain is detected by the rain gauge. As you will no doubt detect, the number of connected objects and events available on IFTTT is quite impressive. You are free to do tests and research to experiment with different life scenarios according to your habits and desires and to apply it!